Conditions are favourable for severe thunderstorms to redevelop over the areas after 2:00 PM this afternoon. The main threats are torrential downpours, hail up to toonie size and intense lightning. 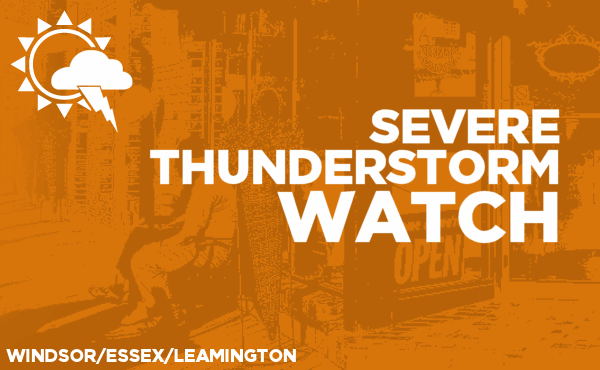 This is an alert to the potential development of severe thunderstorms with large hail, damaging winds or heavy rainfall.